Whether your home has experienced water damage, fire damage or mold, Rainbow International® of Waxahachie is committed to restoring your property to its pre-loss condition. We proudly serve residents in the Waxahachie, Midlothian and Ennis areas with complete home restoration and carpet cleaning services. Our IICRC-certified technicians use state-of-the-art equipment to remove all traces of mold, water, soot and smoke damage throughout your home or business. Our full-service reconstruction services will tear out all fire damage and restore your property to pre-loss conditions. Our tarp-over and board-up services keep property safe and secure during the entire restoration process. In addition to entrusting us for emergency home restoration services, homeowners and business owners also rely on us for routine carpet cleaning and deodorizing services. We also offer air duct cleaning services, tile and grout cleaning services and upholstery cleaning services. 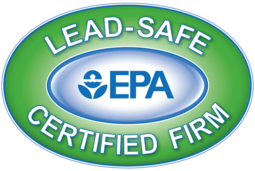 As members of the Restoration Industry Association, we’re EPA lead-free certified and fully committed to safe and industry-proven restoration techniques. Our work is rewarding because we value our community and the people in it. We volunteer with the local disabled community to find ways to give back. Our IICRC-certified water damage restoration professionals have the knowledge, expertise and advanced equipment to prevent and repair all types of water damage, whether from plumbing leaks or acts of nature. Available 24/7. Call on Rainbow International for emergency water and flood restoration. Experienced fire damage at your home or business? Call on the experts at Rainbow International for complete fire damage restoration. Our trained technicians get homes back to the condition they were in before the fire, with minimal loss of property. And we get businesses repaired, up to code and back in operation in as little time as possible. For fire restoration services, call now, 24/7. With Rainbow International, you’ll never have to worry about the pitfalls of finding and dealing with run-of-the-mill contractors. Our courteous professionals are restoration-savvy and always standing by, offering estimates that won’t later be laden with hidden costs and surprises. 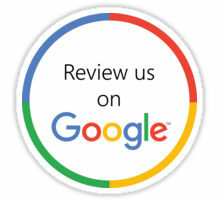 Rainbow International is one of the top home reconstruction services providers in the U.S. and Canada. If you have mold in your home or business, or you discovered a slow leak that may have affected a hidden area behind a wall, you need a mold removal specialist you can trust. Rainbow International technicians are IICRC-certified to detect, treat and remove mold, safely remediating the affected area and preventing the mold’s further spread. Guests and pets can deposit dirt and dander on your carpets. The deeply imbedded particles can be quite difficult to clean just by vacuuming or using typical store-bought shampooers. Using a professional carpet cleaning service can ensure a clean environment in your home or business. Our carpet cleaners get your carpets and area rugs feeling and looking just like new again with our six-step process.